Written by Nathaniel ‘Nat’ Levan. Nat and his wife, Anna, are the brains behind Oak Leaf Games, based in Philadelphia. Nat has been participating in Unpub events for the past 2 years and has always been eager to contribute, as you can tell from the post above. Nat is awesome. What do you need in order to attend an Unpub event? The answer depends somewhat on whether you plan to go as a designer or a player, but there are some things that everyone attending needs to do. Do your homework. As a player, research the designers who will attend. See what games they have made, read about what they plan to bring if you can. Designers will appreciate the interest, and everyone will appreciate getting into a game faster. As a designer, prepare your game to be easily played. I have run into problems with this, when I didn’t count the right number of pieces. Make a sale sheet so players and publishers can quickly learn about your game. (How to make a sale sheet will be the topic of a different article.) And learn about the other designers too. Maybe you can get their help. Have a good attitude. You should be courteous, outgoing, and friendly. Designers, remember you’re asking people to help you without giving them anything material in return. Players are there to learn the game from the designer, so you are your first impression people will get of your game, For everyone, minding the host is good manners. You are a guest, so follow their requests. For many designers and players, being outgoing is one of the toughest parts of an event, but a making an effort is worth it. Introduce yourself to get involved, and be your own salesperson, to engage people and bring them to your table. And remember that if you are interested, you are interesting. Bring an open mind, important for both players and designers. Be ready to play something unpolished, and maybe even incomplete. And try something you normally wouldn’t. Feedback from people who wouldn’t normally play a game is frequently more insightful than feedback from fans of the style. Don’t be reluctant to try a game just because the theme wouldn’t normally interest you. It might change completely by the next time you have an opportunity to play it, and if it really doesn’t work for you, let the designer know. As a designer, be ready to receive feedback from players. Part of participating in Unpub as a designer is willingness to change your game. Maybe you have considered everything that is in the feedback and have reasons it won’t work. But maybe you haven’t, so you should be receptive to new ideas. Always write something down that you could change, even if you don’t like it at first thought. Ideas you initially rejected might become useful again after your game changes. Have patience. As a player, the designer may not be an expert at teaching or will need to try and fix things on the fly. Sometimes there may be too many gamers (if a designer is lucky) so look around and watch games being played to get an idea of them. On the flip side, there may not be enough players. Be prepared for this as a designer, and definitely play other designers’ games. I have missed several opportunities to play other designers’ games that I had interest in. I was glad for the extra opportunities to playtest, but playing another designer’s game is a great way to network, and you might just have fun. People will get to know you, and you might even find a solution to a problem you’ve been working on. Bring water or something to drink. This is mandatory. It can get warm if you have a room full of people, and you’ll likely be talking all day, either explaining rules, or talking about the game. 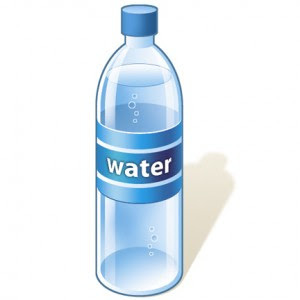 Taking a water bottle or other drink to make sure you won’t get dehydrated is an absolute must. I speak from experience, because I didn’t take one to my first, and wished I had by the end of the day. If there is water available, throw the host some cash. Pen and paper. This is aimed mostly at designers, but players can also take notes and write down information to remember the games later. A lot of game development is done on a computer now, but for quick notes and sketches during a game, it is hard to beat pen and paper. If you have a tablet or other preferred tool, that works too, but don’t take up half the table just to write a note. Bring feedback forms, too, in case players can’t fill them out. When you arrange the event with Darrell, he will provide you with a feedback form template. Bring copies so players can fill them out, and take some of the burden off of the organizer. All of the above things I consider to be absolute necessities for attending an Unpub event. There are some optional things to consider bringing. Food or snacks. Many places might have snacks available or food nearby, but it will be to your advantage to have something you can munch on if you get hungry in the middle of a game. Even if there is a place to get food nearby, you won’t have to run out to find something in the middle of the event. Try to avoid anything messy, because it may be very difficult to replace something in the only prototype. A nametag. For larger events these may be provided (like Unpub 4), but for smaller events, like Unpub Minis, bring your own, just in case. It’s easier to be friendly to someone with a nametag, whether you have introduced yourself or not. It makes it easier on designers and other players to address you, and everyone will have plenty of new rules and faces to remember as-is. Some business cards, or some other paper with your information on it, so people can look you up later. In my experience, people are too busy the day of the event to look you up online, so give them a way to do it when they get home. It’s just good practice to have an extra copy for easy to lose pieces. I have had to do that before when I lost some of the pieces after a game. I ended up finding them tucked away in a bag, but having the extra copy came in handy when I couldn’t find them right away. I also found that I was missing a piece in a copy I was about to give someone to test for me, but because I had an extra copy, I just threw in the missing piece from a slightly older copy. Bring your friends. Especially if they’re good at breaking games. Designers love to have new people to show their games to, and the more unique approaches they see, the better the game will be. It adds a level of comfort to be playing something new with familiar faces. Then you have someone to talk to about the games later. And designers, if your friends have been good playtesters for you, share the wealth. Make sure to thank them, too. A copy of a published game by an attending designer, and a pen. This goes along with doing your homework. Ask a designer to sign a copy of their published game. You get a signed copy, and the designer feels special. A camera, phone, or other internet-enabled device. Record and share the event with others. And if possible, fill out feedback on Unpub.net. One last thing to remember about attending an Unpub event is to remember what to take with you when you leave. Take your trash. If it’s a game store, take home a new game to support the host. Take your memories and a good story to share with people who were probably doing something way less fun. Take a moment to thank the designers, players, and host. And take pride in the fact that you have helped grow and support the world of unpublished games.